As many of you know, October is Breast Cancer Awareness Month, which is an annual campaign dedicated to increasing the general sentience of the disease. According to the National Breast Cancer Foundation (NBCF), one in eight women in the United States will be diagnosed with breast cancer in her lifetime. With the prevalence of breast cancer so high, doctors will most likely have to deliver breast cancer prognoses with patients - some more frequently than others. 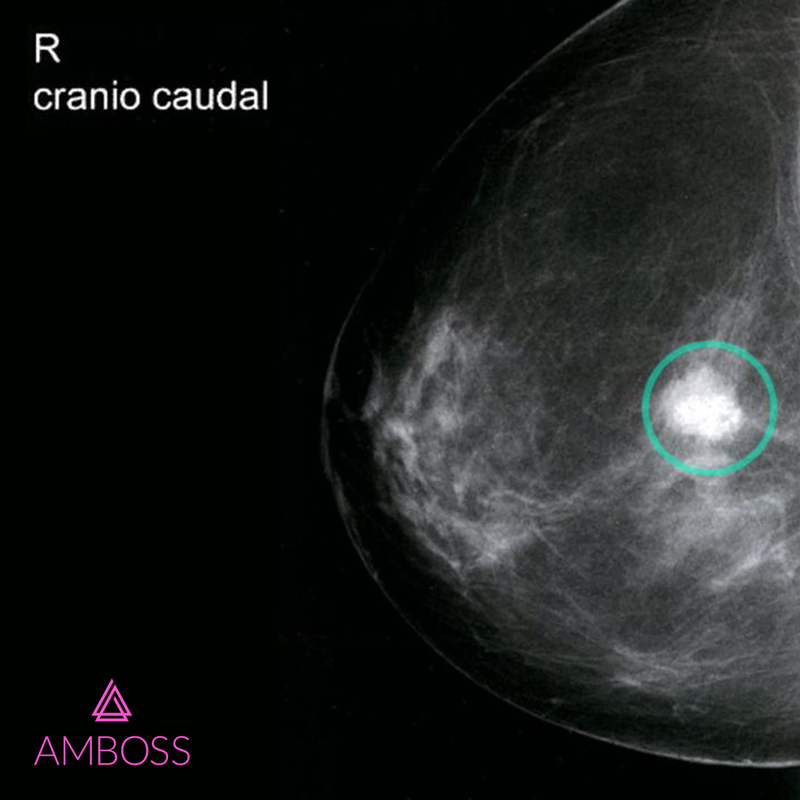 Therefore, the importance of communicating empathetically and clearly when diagnosing patients with breast cancer is vital. Megan Childers, a Nurse Practitioner from Vanderbilt University, who manages and cares for cancer patients, has provided some valuable tips on talking with patients about breast cancer diagnoses. Sit down. Sitting down relaxes the patient and also sends the message that you will not rush. When you sit with your patient, do so without barriers between the two of you. This way you can touch the patient on the arm or hold their hand (if the patient is comfortable with this) to provide comfort and show how much you care. Don’t talk science. When giving a diagnosis, use the most simplistic language instead of complicated terms that your patient may not comprehend. Some people don't understand medical language and are trusting everything you're saying. Cover the most important information slowly. Don’t feel like you have to say something to fill the silence; being present and sitting with the patient is just as important. Treat every patient the same. Have financial options available for patients who have limited or no health insurance coverage. Remain positive, calm, personable and empathetic. Receiving bad news is difficult for anyone. Some patients may lash out and place blame on you or other members of your staff. It is important to stay level-headed and listen. Maintain eye contact, even when it seems uncomfortable. Eye contact is an important way of establishing rapport. Most patients want to have someone accompany them and this should be encouraged. If the patient is accompanied by a companion, treat questions from this person with attention and respect. Additionally, be mindful of who is in the room when talking to the patient. Small children shouldn't be present. Don’t rush through negative information (e.g., complications, diagnosis). Allow patients to ask questions and give them the opportunity to meet with you later on, once the shock value has dissipated. Often, patients do not fully grasp the implications of breast cancer. Help the patient come to a better understanding of the facts and details. Communicate to patients that diagnosing breast cancer is a multi-step process. Some patients will have to undergo multiple imaging studies and procedures before the full extent of the condition is known. If you are a primary care physician (PCP), make sure to communicate this and be there for the patient through every stage. Don't get ahead of yourself - the complete diagnosis and staging of cancer takes time and involves many steps. Take one step at a time! Once a patient receives the news, it is like dropping a bomb on them. Don't expect everything to sink in for them right away. Some may not even hear the majority of what you are saying after confirming the diagnosis of cancer because it is a life-changing conversation. Therefore, set up another appointment or allow them to make one once they’ve had a chance to process the news. Your patients will Google their diagnosis and will continually do so. With this knowledge, it is important to give them some good Internet sources to utilize (e.g., hope and reassurance stories, sites with informative and factual information). Consistency is key; patients should see the same provider every time, if possible. Palliative medicine is a comprehensive, interdisciplinary approach to medical care that aims to relieve suffering and provide optimal quality of life in patients with serious or life-threatening illnesses. Information on SPIKES protocol is available within the AMBOSS platform. Breaking bad news is a complex communication task which requires a diverse skill set. These skills include emotional awareness, managing patient expectations, involving the patient’s family members, providing hope in bleak situations and involving the patient in decision-making processes. The complexity of this process can often create communication breakdowns, such as patient misunderstandings pertaining to the severity of their illness. Poor communication thwarts the goal of understanding patient expectations for treatment or involving the patient in treatment-based decisions and planning. Understanding the communication process and approaching it in a stepwise manner can improve your delivery of breaking bad news. Within the AMBOSS learning platform, you can find a detailed six-step protocol, which incorporates the SPIKES principle. The SPIKES protocol for breaking bad news is a specialized form of skill training in physician-patient communication, which is employed in teaching communication skills in other medical settings (Kellery & Carroll, 1994). These key skills are an important basis for effective communication and form the basis for patient support. If you already have an account with AMBOSS, you can find the SPIKES protocol here or access a free trial to give us a test drive!